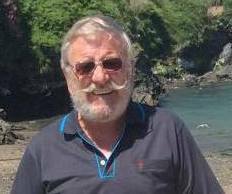 It is with regret that we announce the death of Maurice Cassidy following his long time suffering with Non-Hodgkin lymphoma. He was 80 years old. Maurice passed away yesterday after recently being admitted to Willowbrook Hospice in St Helens. On returning to the UK for demob from National Service (1958-1960 - service no: 23550991) in Malaya - No 5 Dog Unit Ulu Pandan (Mowbray Camp) Royal Military Police, Maurice joined the Liverpool City Police in June 1960, training at Bruche, Warrington. He retired in September 1991 having served in the Traffic Division for the majority of his service. When he was working on Saturday afternoons, Maurice would find time to make a diversion in his patrol car to watch a cricket match for a short while. Following his time with the police, Maurice started a new career as a Regional Security Manager for a tobacco distribution company from which he retired in January 2004. He then described himself as "a full qualified pensioner with a bus pass". Maurice played for Huyton Cricket Club and police teams before hanging up his boots to become an umpire with the MCUA in the Liverpool and District Cricket Competition. When talking about completing after match reports, he once said "I've spent my life filling in reports, I'm not going to do it now. My umpiring partner can do it." He listed cricket and cruising with Cunard amongst his enjoyments as well as driving his red Triumph TR8 convertible sports car (DJG 739W) around North Wales on dry, sunny days in the summer. A quiet man, Maurice was well liked by players and everybody who knew him. Former Huyton player, Ian Hayhurst said "Very sad news. He was a true gent and was very supportive of me at Huyton and in police cricket as a young player. The world of cricket is lesser with his passing. One of life's gentlemen. RIP Maurice, your duty is done." Wallasey's Ian Hemsworth added "So sad, one of the great characters." Friends and colleagues extend their condolences to Maurice's wife June, son Ian and daughter Jane, his extended family and friends. Details of Maurice's funeral arrangements will be listed when available. Maurice's funeral will be on Friday April 12th at 11:30am at Springwood Crematorium, Springwood Avenue, Liverpool L25 7UN.